Editor’s Note: Today, we’re very excited to introduce Cathy Fisher, an American currently living in Lisbon with her Portuguese husband. Cathy approached us with an infectious passion to share her love of Portuguese wine; and who are we to say no?! Welcome Cathy and thank you for getting us in the mood for old Vinho Verde! The Soalheiro opened my eyes to an entirely different side of Vinho Verde that represents a break from the traditional approach to the region’s white wines. The wine was a pale lemon color and flaunted a slight sparkle – in line with what I had expected. Yet its abv was 13%, as opposed to the 9% to 11% one tends to find in Vinho Verde whites. On the nose, the wine showed complexity. On the palate, the wine was concentrated in flavor, medium-bodied and elegant. This was a clear deviation from the Vinho Verde I’d previously known – the perceived “cheap and cheerful” wine of Portugal. So what is this new approach to Vinho Verde whites all about? Let’s first take a look at what Vinho Verde has traditionally been associated with: light, low-alcohol and often slightly fizzy wine. It is usually inexpensive, with pleasant examples retailing at around €5. 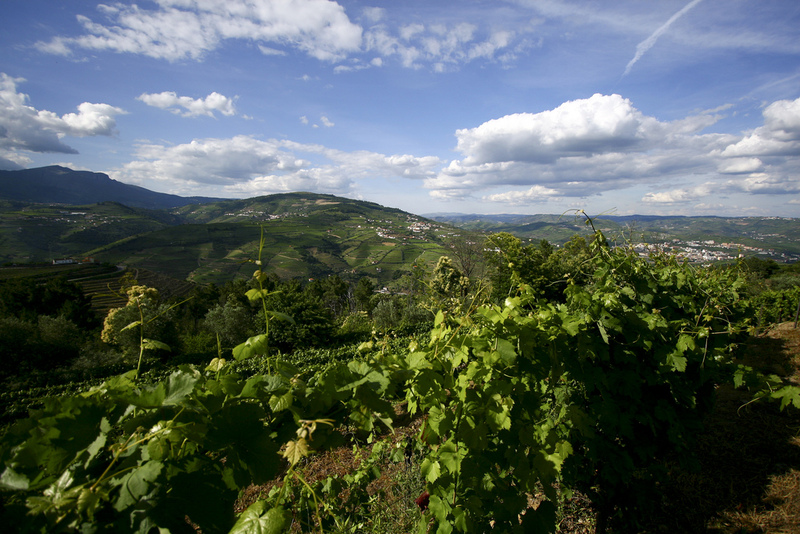 Vinho Verde whites have traditionally been made from a blend of grapes. There are over 30 indigenous white grapes in the Vinho Verde region, although seven in particular are viewed as most suitable for making the region’s whites: Avesso, Azal, Arinto, Batoca, Loureiro, Trajadura, and Alvarinho. They are soft and light with a predominantly citrusy flavor and aroma profile. Acidity is high and alcohol levels are kept low. Vintages are not necessarily found on the bottle, and the wines are meant to be drunk young. The ‘modern’ Vinho Verde is arguably a more sophisticated version of its traditional embodiment. The Wall Street Journal recently called it “The Elegant, Serious Side of Vinho Verde.” What gives these modern examples their seriousness and elegance? 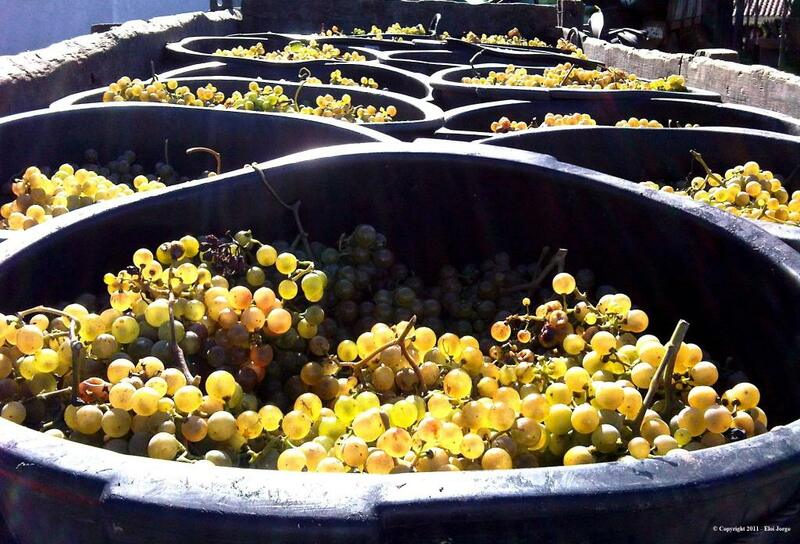 Often the answer lies in producing mono-varietal whites from a particularly high-quality grape. The grape of choice tends to be the thick-skinned Alvarinho, which, according to the Viticultural Commission of the Vinho Verde Region (CVRVV), is “widely considered the finest white grape of the Minho region.” Alvarinho (which is known as Albariño in Spain and is a popularly grown grape in Galicia) is typically grown in the Monção region of the Vinho Verde DOC and commands superior prices. Alvarinho tends to yield wines that are higher in alcohol, reaching about 13%, and high in acidity. The wines tend to have a concentrated and more complex flavor profile than wines made from generic Vinho Verde blends. They often feature a pronounced minerality, perfumed floral notes of jasmine and orange blossom and hints of peach or apricot. Alvarinho tends to yield wines that have a low pH – or in other words, wines that are highly acidic. This characteristic gives wines an elevated ageing potential. Or splurge on a bottle about 5 to 10 years old, like a Soalheiro Alvarinho 2006. Pour yourself a glass and take note of the appearance – my 2006 Alvarinho was a lemon color instead of the pale off-green or light straw that can characterize young Vinho Verdes’ appearance. On the nose, the wine had a concentrated citrus character that was also richly mineral, perhaps even herbaceous. On the palate, the 2006 was complex and layered, with a richness of flavors that attest to this wine’s longevity. Leave it in your cellar for at least another three years, or more! The new and often age-worthy style of Vinho Verde gets credit for recent increases in the wine’s exports, according to a statement made by Manuel Pinheiro, executive president of the CVRR, to The Drinks Business. “We are not denying traditional Vinho Verde, but we are trying to create a second segment above it, one with a different quality which will naturally add more value,” he added. The new style has proven popular, with Vinho Verde exports increasing by both volume and value. Its biggest importers as of 2013 are the U.S., Germany and France, according to statistics published by the CVRR. As we make our way through rainy spring days in anticipation of summer, why not pick up a bottle or two of mono-varietal Vinho Verde? Drink a serious one (suggestions below) with seafood or poultry in cream sauce or even some grilled pork chops. And when summer arrives, make sure to check back in with Vinho Verde’s roots, opting for some of your favorite easy-going whites for sardine and red pepper barbeques or garden-party cocktail hours. If you’re keen to join us this fall to not only taste your way through Vinho Verde, but participate in the harvest, contact us!! Spaces are running out, so be sure to secure your place today!